A rooftop cargo box is an excellent way to haul around extra cargo with ease as you set of on a family holiday or a sporting adventure. While your car will come with standard cargo options in the form of the trunk maybe a factory fitted rooftop rack, these are inherently incapable of offering the versatility required by an avid adventurer or camper. For starters, the car’s trunk is too compact to hold some lengthy items of gear such as snowboards and skis. While the rooftop is not baulked down by such a disadvantage, your gear and supplies will be left in the open and at the mercy of the elements. Yakima cargo box address these failings in one fell swoop. Moreover, as the detailed Yakima rooftop cargo box reviews offered below will show, these boxes have plenty of other performance features. They all serve to ensure you get the best value for your money. Indeed, these cargo boxes are so versatile that Yakima offers a number of warranty guarantees covering a whole lifetime! Why Should you Read this Post? If you are an avid traveler and adventurer, you will find this guide to the best yakima cargo boxes very instructive. This post covers everything you need to know about the best Yakima cargo boxes including a shopping guide as well as five objective Yakima rooftop cargo box reviews compiled by our resident expert. You will also learn about the most important factors to keep in mind as you search for a Yakima cargo box that is perfect for your needs as well as budget. 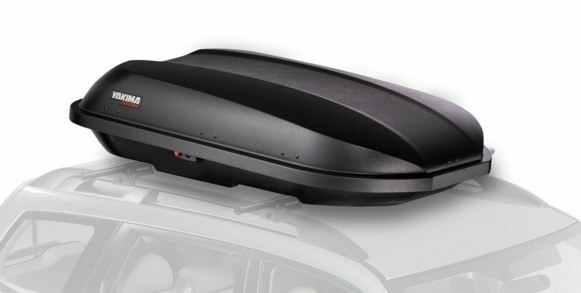 The most ideal Yakima cargo box is the one which can haul as much cargo and gear around on top of being suited to the size and design of your car’s rooftop rack. Of course, it is also important to consider factors such as durability, security and aerodynamic qualities. The most important factor to keep in mind as you shop for Yakima cargo boxes is the size. Yakima cargo boxes come in a variety of sizes, ranging from 10 to 21 cubic feet. Typically, the size of a particular cargo box will be easy to tell right from the title. For instance, the Yakima RocketBox Pro 12 Cargo Box has a size or capacity of 12 cubic feet while the Yakima Skybox 21 Carbonite Cargo Box has a cargo capacity of 21 cubic feet. While Yakima cargo boxes are among the most versatile ones in the industry, there is a limit as to the vehicles any one of them can be installed on. A coupe or compact saloon will typically not have the rack area to fit a cargo box that has a cargo capacity exceeding fifteen cubic feet. SUVs, family sedans and hatchbacks; on the other hand, offer more versatility in your choice of a fitting cargo box. The functional value of a roof rack cargo box is dependent on the roof rack. As a matter of fact, Yakima offers a very incisive guide to selecting the right rack for your car and cargo box. You can go straight to their website and fill details like the make and model of your car and they will offer suggestions of a fitting rack system and cargo box. 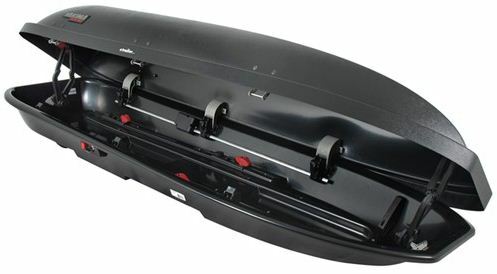 All roof rack cargo boxes come with a variety of special features. None are as important as the security controls put in place to ensure you get the most of your cargo box. As all Yakima cargo boxes are designed to be easy to open from both sides of the car, the security features are likewise fitted on either side of the box. All Yakima cargo boxes come with SKS lock cores as standard. However, some selected cargo boxes are fitted with the SuperLatch security for extra guarantees about the safety of your gear and equipment. Yakima is a specialist manufacturer and marketer of cargo boxes. As the following Yakima rooftop cargo box reviews will show, there is no shortage of versatile options for someone looking to equip their car with more versatile cargo options. As the following rooftop cargo box reviews will serve to show, it is possible to do this affordably and without compromising on your vehicle’s aesthetics or aerodynamic performance on the road. Designed for use with both small and medium sized cars, the Yakima Rocket Box Pro 12 Cargo Box is functional, durable and capacious enough for a variety of cargo needs. It comes with a flowing, aerodynamic profile which reduces drag without making your car unstable even at high speeds or while negotiating corners. While the cargo box is perfect for small cars and hatchbacks, its versatile mounting allows easy use with family SUVs as well. You can also easily access the contents held within from either side of the car. Moreover, its SKS lock cores provide all the assurance you need that your cargo and gear are safe whether moving at speed or in inclement weather. Customers will also be glad to take advantage of the comprehensive manufacturer’s warranty with a number of lifetime guarantees in terms of performance and quality. 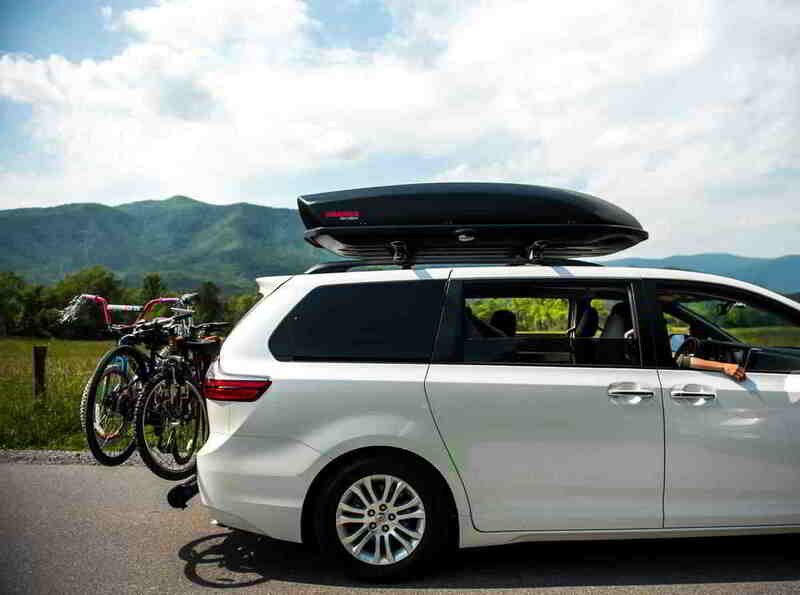 If you are looking for a Yakima cargo box with robust storage such that it is adequate for a family camping trip, the Skybox 21 offers an excellent choice. For illustration purposes, the cargo box can easily fit up to five campers with some room to spare. 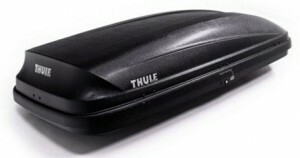 Within its confines you can also fit such cumbersome gear as skis and snowboards of up to 2.2 meters in length. This particular Skybox offers you 21 cubic feet of storage but should you need something a little bit more modest, you can take your pick from the 12, 18, 16 and Lo size alternatives. As a standard, the Skybox comes with the integrated SKS locking system for peace of mind that your gear will get to the destination in pristine condition as well as with all safety assured. The SkyBoxPro series of cargo boxes are the latest in a series of award winning cargo solution for avid travelers. They are available in the same basic sizes as the Skybox series but enjoy a more robust series of features including tougher construction, more ingenious security features as well as compatibility with different rooftop car racks. As such, while this SkyBoxPro has the same 21 cubic feet of cargo space as with the SkyBox reviewed above, it is nonetheless more rigidly molded. It also includes a number of more robust features including the innovative SuperLatch security system and internal lid stiffeners which offer more rigidity to the top rid even under tight acceleration. It is therefore not that surprising that the Yakima SkyBoxPro tends to attract the most effusive rooftop cargo box reviews on the web as posted by both regular customers as well as experts. 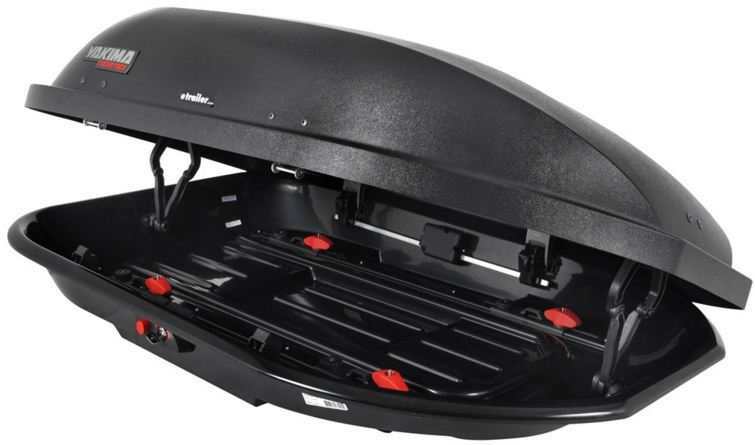 The SkyBox 18 is a Carbonite Yakima cargo box that will fit on your family sedan or SUV’s rooftop rack and increase the cargo capacity a manifold. Never will you ever have to leave behind any essential gear just because the car doe not offer enough space in your trunk. 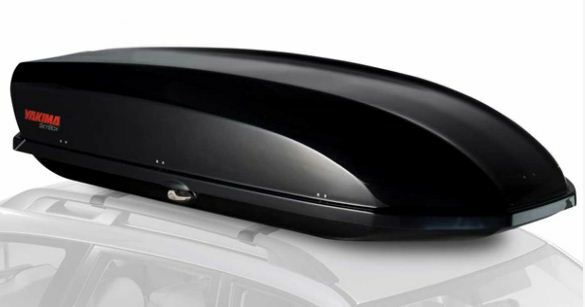 With its imposing look and flowing aerodynamic construction as well as redoubtable performance, this is a cargo box which will enhance rather than lessen the appeal of your car on the road. The 18 cubic feet of space is more than adequate for hauling camping gear and supplies for a weekend of camping out in the boonies. You can pack literally anything in the cargo box including up to four people’s worth of hiking gear and skis with more room left over for miscellaneous supplies such as extra cat food. The Carbonite cargo box is made from 100% recycled material and is enhanced to ensure it is super-lightweight. As such, you can haul more supplies without adding even a minuscule of unnecessary weight of cargo. 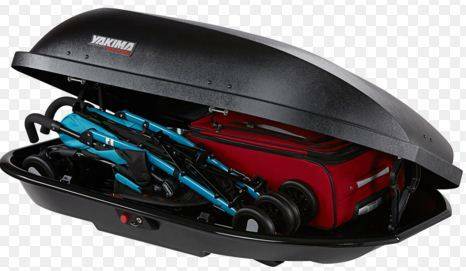 While this Yakima cargo box has been especially designed to fit on compact family cars, it is nonetheless robust enough to offer extra storage space even to fit in all the supplies you may need for weekend of camping. The design of the box is a good illustration of how it is possible to provide extra cargo capacity without compromising on your car’s aerodynamic appeal and performance. The cargo box is ideal for longer loads which would not normally fit in your car’s trunk including hefty and cumbersome items such as snowboards and skis. The compact design is also enhanced to ensure the cargo box does not hog all your crossbar space if you have other cargo options in mind. The sale is also backed by Yakima’s inimitable Love it ‘Till You Leave it lifetime warranty guarantee. With all its compactness yet versatility of use, it is little wonder then that the RocketBox is the most popular cargo solution for avid multi-sport adventurers across the world. The Yakima brand has such a pedigree in the cargo solutions industry that little introduction is needed to grasp just how good their cargo boxes are. All the products covered in the preceding Yakima rooftop cargo box reviews are also backed by the manufacturer’s limited lifetime performance guarantee. However, to enjoy this guarantee you have to order from official resellers such as Amazon.com. Indeed, we recommend you order your Yakima cargo box from Amazon owing to the online store’s excellent shipping policies. Not only will you be guaranteed that the cargo box will arrive at your designated address in time but you are also assured that it will be in pristine condition when you finally get it. There is not a single one-size-fits-all Yakima cargo box. The manufacturer has gone to extra lengths to ensure that any car owner has a selection of cargo boxes which meet their needs. With careful attention to detail, precision workmanship and designs based on the best of materials, Yakima are able to guarantee you high performance cargo boxes which, in all likelihood, will meet and exceed all your expectations. But you do not have to take our word for it. Order your preferred Yakima cargo box today and you will find it to be one of the most inspired decisions you will make all year. You have our word for it. The better way to buy original products is to arrive amazon store. I have found one beautiful product from the store that is very useful to you. If you own a car, you must buy it which can be used to store all the things when going for a vacation. 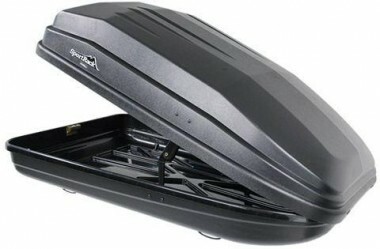 The product is nothing but the Yakima Skybox 16 Carbonite Cargo Box. 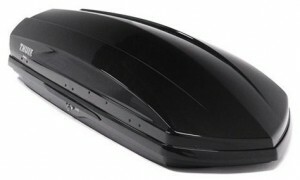 It is such an attractive powerful cargo box for your car. It costs neither higher nor cheaper. Move the cursor below to find more useful information about the site. Size of product : 16 cubic feet; also available in 12, 18, 21 and Lo sizes.